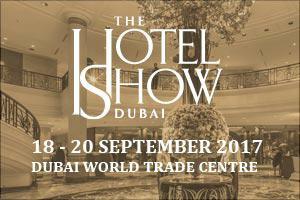 From 18 until 20 Septembre 2017, the famous Hotel Show will open his doors in the World Trade Center of Dubai. This trade fair is the largest & most prestigious hospitality event in the Middle East, Africa and Asia. The Hotel Show has redefined the hospitality and leisure market for the region and the world, bringing innovation and new ideas to the sector. During these 3 days, the Hotel Show will offer 50,000 sector professionals an unmissable opportunity to find out about the latest products, ideas and trends shaping our industry’s future. Dupont Plexiline will also be present at this famous trade fair. We would like to invite you to visit our stand 4B141 in Hall 4. Do you want to register for free entry? Click here! More info about the Hotel Show? Click here!